Emphasizing both “improvement” and “innovation” while understanding the distinction between the two terms is key to refining the healthcare industry, says Chris McCarthy. His wariness of innovation for its own sake may come as a surprise, because as Director of Kaiser Permanente’s Innovation Consultancy, McCarthy is known for leading transformative teams. However, he believes undisciplined efforts to transform can lead to a tremendous waste of time and resources. 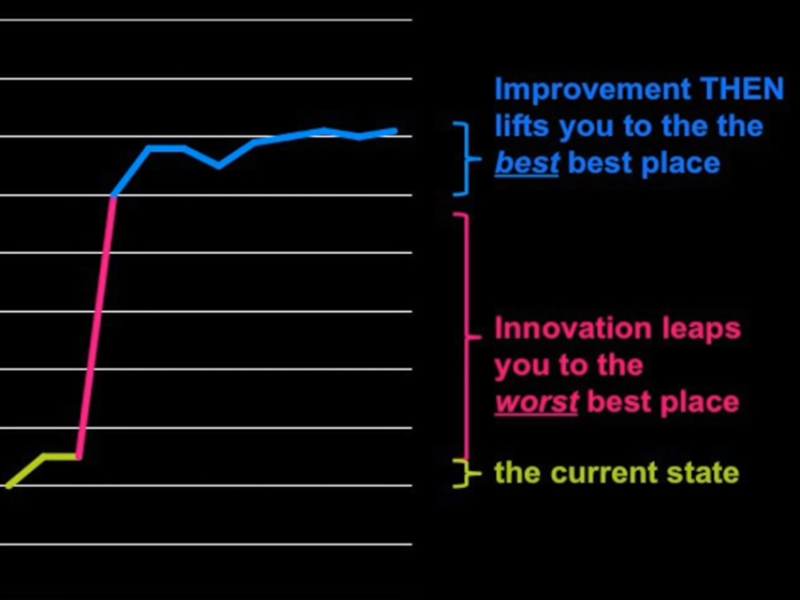 “’Improvement ‘is about current ideas, while ‘Innovation’ is about new ideas. Some organizations combine these activities. We keep them separate because they do different things,” he told the audience at HFIF '15. 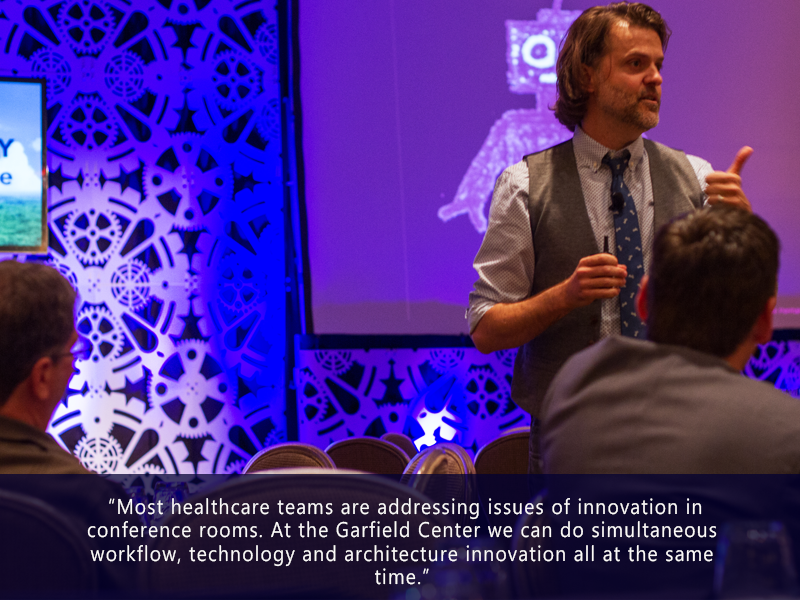 McCarthy believes that healthcare organizations should focus more resources on improving existing activities, while being more thoughtful and selective in their approach to innovation. One transformative offsite experience led Kaiser Permanente to a system-wide breakthrough that reduced errors in medication administration. In 2007, after years of gradual progress, their efforts to reduce errors had plateaued. As a group, nurses said there was “no problem” with the process of distributing medication to patients. However, when analysts asked nurses to illustrate (“draw”) the situation, “They drew themselves with electrified hair and with lightning bolts coming out of their heads,” McCarthy says. This laughter – and the group recognition of a dysfunctional situation – led to a revised process in which nurses have a designated quiet area (usually marked on the floor in red) near the station where they prepare medications. Inside that space, they can’t be interrupted or pushed aside while they’re working. The result: medication errors have dropped system-wide. Founded over 70 years ago, Kaiser Permanente has always offered a “radical” and “innovative” approach to healthcare, McCarthy says. Its healthcare model was so different, in fact, the American Medical Association (AMA) banned it until 1973. Now, the organization focuses on innovation in a handful of highly impactful ways. 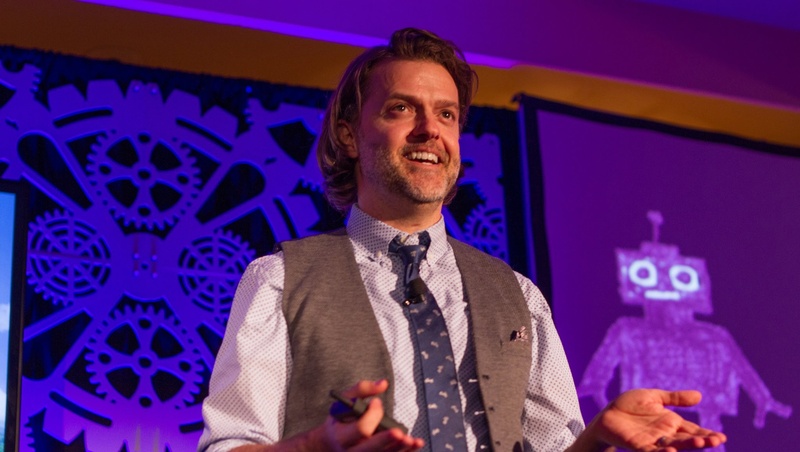 For people, McCarthy oversees “The Innovation Consultancy,” a 10-person team of designers and strategists. While each member is from a separate discipline (architecture, engineering, etc. ), they all use design and ‘design thinking’ concepts” to envision innovations to modern healthcare systems. McCarthy believes Methods are the most-important component of this infrastructure. “That means that no matter what challenge we’re given, whether its an architectural challenge, or a technology challenge, an efficiency challenge, whatever it is, we start from the human experience identifying what people think, feel, say and do,” he says. Networking is the fourth piece of this infrastructure. “We quickly realized in the innovation space that we needed to look to the world around us,” he says. To that end, Kaiser Permanente created the Innovation Learning Network (ILN at ILN.org), which shares innovation across systems, teaches innovation techniques and creates innovation friendships. 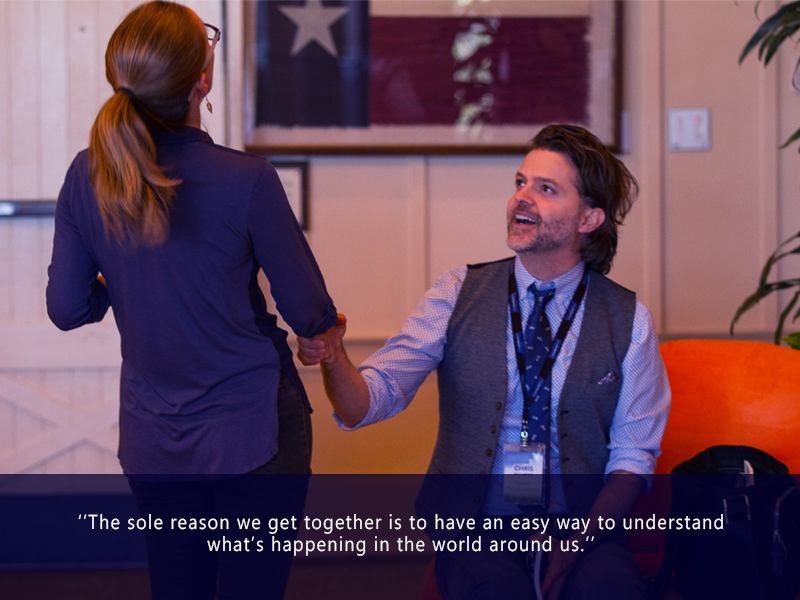 “The sole reason we get together is to have an easy way to understand what’s happening in the world around us,” ILN’s director explains. Near the end of his presentation, McCarthy reiterated his belief that innovation initiatives can get out of hand, pointing a finger at Kaiser Permanente’s own compulsion to develop “pilot programs,” which breed like rabbits if they’re not watched. You can watch Chris McCarthy's full talk below.